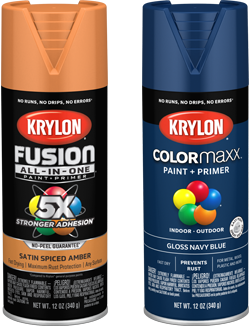 Krylon® Fusion All-In-One™ is a best-in-class product that bonds to difficult surfaces such as plastics and ready-to-assemble furniture without sanding or priming. It also provides maximum rust protection for all outdoor projects. Krylon COLORmaxx provides brilliant, on-trend colors in a variety of sheens with long-lasting durability. Both new products lines have the easy push big button tip, providing the ability to spray at any angle for fast coverage to get your project done! 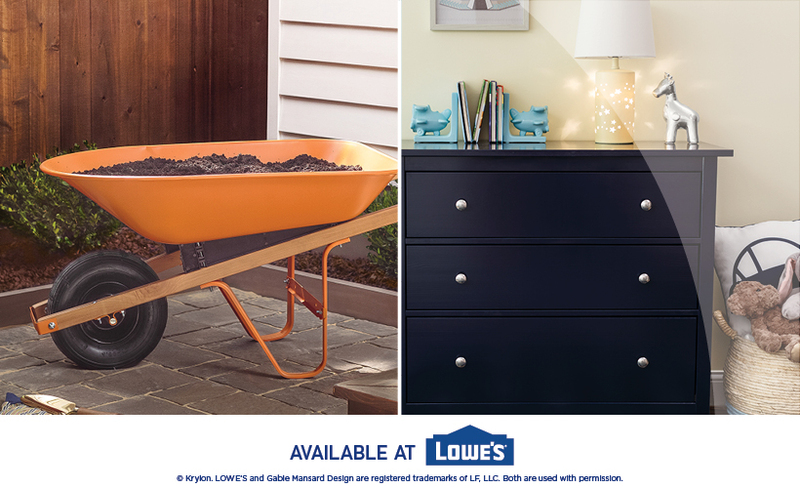 Find it at your local Lowe’s® store. Get active this spring by creating an outdoor project using Krylon®! Create a colorful outdoor game with our easy to follow project instructions. With a variety of products and color options, Krylon can help you re-energize for spring! Krylon® Glass Paints add a colorful touch to any glass surface. With decorative finishes such as Sea Glass, Stained Glass Paint, and Frosted Glass you can transform your glass accents quickly and easily. Krylon® Glass Paints are available in a wide range of colors that allow you to add creativity and personality to your home décor. Five promising art students received a $1000 scholarship to further their studies. Krylon® knows color. Check out our 2018 Color Trends! Watch our How-To Videos for ideas and helpful spray painting tips and techniques before starting your next spray paint project.